If you have played Splinter Cell on your Game Boy Advance, then there’s no introduction needed to MRD Escape as far as gameplay is concerned. This 2D flash action/stealth game borrows the same game mechanics of Splinter Cell GBA, including stealth, problem solving skills and combat. You will have to escape the MRD by avoiding cameras, taking out guards silently and collecting access passes. 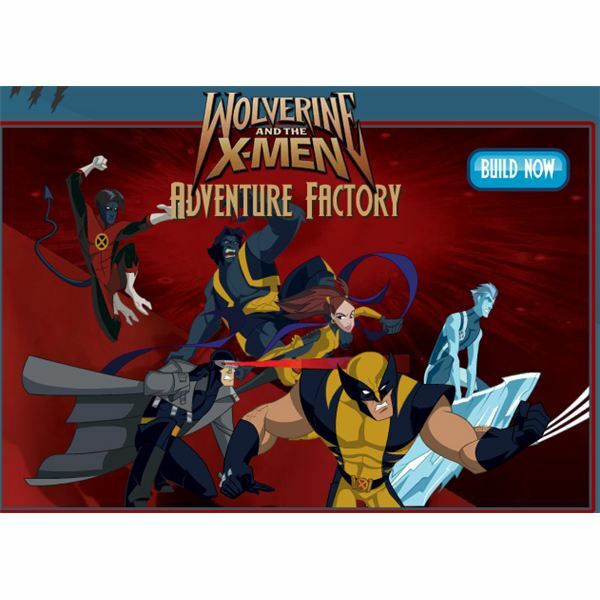 The controls in Wolverine MRD Escape are simple: you will have to use arrow keys to move Wolverine and Space key to attack, open doors and activate certain panels. There are 10 levels, of which the first two levels are tutorials that provide in-depth help about the controls and special skills. The game has nice 2D graphics and is certainly fun to play, especially with the large amount of stealth involved and less combat. Love to create your own flash games? Why not unleash your game developing skills with Adventure Factory? 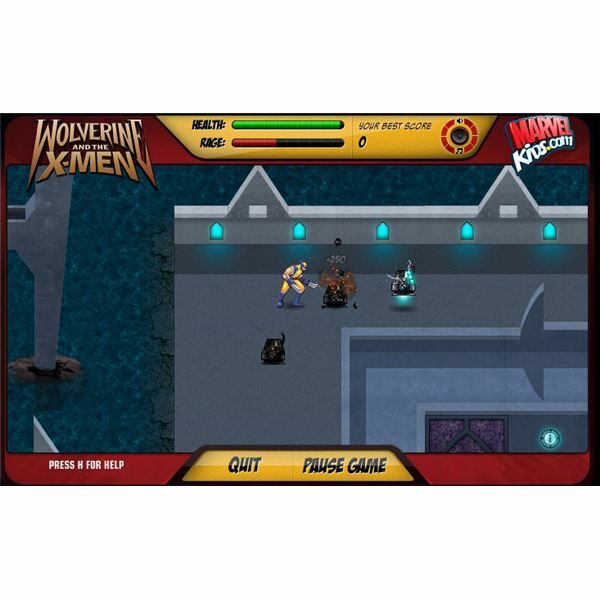 This interactive game lets you create your own levels out of different game pieces available, including various obstacles, hero and villain sprites, X-Men icons and enemies. All you have to do is click the Build Now button and create your levels through a step-by-step guide. You can choose a background, the game objective and your X-Men hero and enemy boss. You can save your game design anytime by clicking on the Save for Later button. Make sure you bookmark the Flash site so that you can come later and load your unfinished game design. After completing the game design, you will have the opportunity to test it. If everything’s okay with the level design, the game will send the level to the server. The portal will then generate a game code, which lets you share your designed levels with your friends. All you have to do is email the completed design and the game code to your friends to unlock and play. Wolverine Search and Destroy is one of the best Wolverine games online. It is a top-down action game with a variety of combo kills and pickups (power ups). 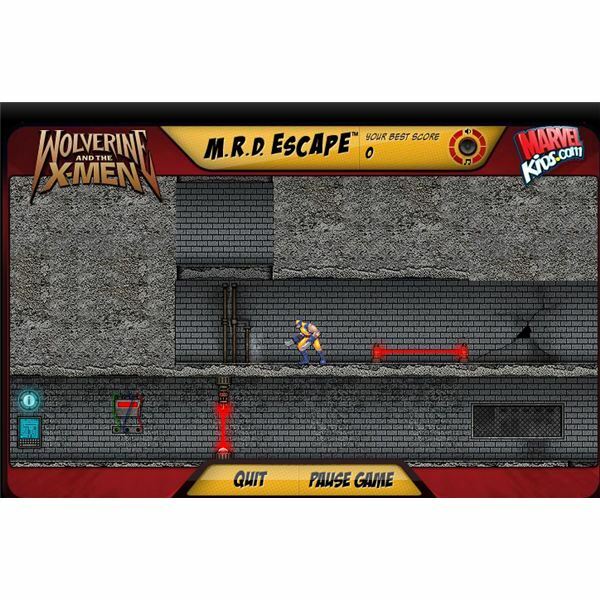 The controls are similar to Wolverine MRD Escape Game – Space button to attack enemies or access doors and arrow keys to move Wolverine. But, the unique feature of Search and Destroy is the Rage mode, which lets you do double damage to your enemies. All you have to do is press the Ctrl button to switch on the Rage mode and do a variety of combo kills to inflict maximum damage. With the Rage mode on, you can press certain keys to unleash Uppercut, Impaler, Slice & Dice, Berserker and Weapon X combos to kill hordes of enemies at once. To unlock these special combos, you will have to collect Dogtags scattered across a game level.Accessing doors requires keycards, which can be found in heavily guarded areas. Wolverine has to kill enemies first to access the keycards. If you are looking for free online wolverine games with unique game elements, then Wolverine Search and Destroy will suit your gaming preferences. Your favorite comic book superheroes are now online, thanks to the efforts of Flash game developers. You can now play Justice League, Spiderman, Wolverine and Batman games online. All you need is a good browser, the latest version of Flash or Shockwave player and a good Internet connection. Web-Slinging was Never this Much Fun!